Opencaching is Dead, Long Live Opencaching! I have had a draft post sat in my blog admin console for months and months, all about alternative listing sites comparing Opencaching.org.uk, not to be confused with Garmin’s Opencaching site and Terracaching with the most popular offering from G$. Well, Garmin’s site went and shut up shop before performing a fanboi redirect to G$ and now it’s independent namesake also looks like it’s going to shut up shop. I’ve just gone over and checked out Terracaching and it’s still there, but it’s still as un-user friendly as it always has been. Having said that I cannot even figure out how to view a map of my local area on opencaching.org.uk; I remember ages ago when I wanted to see what was nearby it took me ages to find out how to view the local caches and then there were only a few a just cross listings. 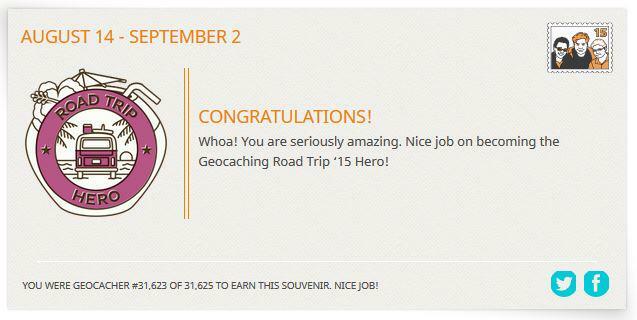 It looks like there have been 7 whole caches published to date this year! So to be honest, I say goodbye, no loss. @markpickard1 @Ohbeepgcp Sorry not been tweeting for some time, have I met moan-a-lot? Where, what when how? @Ohbeepgcp I've found my nemesis cache, have you found your airport one yet? @andytuk @Adnams bizarre. At roughly the same time so was I!!! @godders45 @eBay_UK hasn't that been the way for ages?